November 23, 2018 (Fri., national holiday), Start: 2:00 p.m., Doors open: 1:15 p.m.
November 24, 2018 (Sat. ), Start: 2:00 p.m., Doors open: 1:15 p.m. The Sapporo Cultural Arts Theater will host the Hokkaido debut of The National Ballet of Japan (NBJ) with Swan Lake, a work of enormous popularity among classical ballets. The NBJ’s Swan Lake maintains the elegance of the original work, to which the English artist Peter Cazalet brings impressive set & costume designs with modernity, sophistication and color sense. The production also features an emphasis on storytelling, by clearly outlining the origins of the story in the prologue, as well as featuring quick dance steps and a number of sections which require advanced skills. There’s always something new to discover in this piece, even after one watches it many times. The true worth of a ballet company becomes apparent in the technique of the lead dancers and their ability to bring depth to their portrayals, as well as in the skills of the corps de ballet. We invite you to join us at the Sapporo Cultural Arts Theater for a production by Japan’s premiere ballet company. Born in New York City, Ayako Ono studied under Noriko Kobayashi, Patrick Armand and Asami Maki. After training at the Noriko Kobayashi Ballet Academy and The New National Theatre Ballet School (in its third graduating class), she joined The National Ballet of Japan as a soloist in 2007. Immediately afterwards, she made her successful debut as the lead in David Bintley’s Aladdin and has since performed principal roles in a number of productions, including The Sleeping Beauty, Swan Lake, The Nutcracker, La Bayadère, Giselle; Frederick Ashton’s Cinderella; Bintley’s Carmina Burana, and Sylvia; Roland Petit’s La Chauve-souris and Coppélia; and Mikhail Fokine’s The Firebird. She crented the leading role of Princess Belle Sakura in David Bintley's the Prince of Pagodas. She was promoted to principal in 2011. She won the gold medal at the Genée International Ballet Competition in 2004 and was awarded the Minister of Culture Award for New Artists in Ballet and Dance and the Dance Critics Society of Japan’s Newcomer Award in 2011. She also won the Chieko Hattori Ballet Prize in 2014 and the Akiko Tachibana Outstanding Performance Award in 2018. 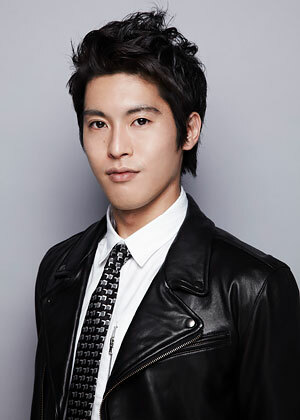 Born in Osaka, Yudai Fukuoka trained at the K-Ballet Studio under Kaori Yagami, Kurumi Yagami and Keiko Yagami. He joined the Zurich Junior Ballet in 2003 as a research fellow under the Japanese Government Agency for Cultural Affairs Overseas Study Program. He then joined the Zurich Ballet as a demi-soloist in 2005 and worked with the company for two years. He won first prize in the contemporary section of the NBA National Ballet Competition in 2000, the Grand Prix in the senior male section of the Kobe National Dance Competition in 2003, the bronze medal in the senior male section of the Varna International Ballet Competition in 2008, and the first prize in the senior male section of the Seoul International Dance Competition in 2009. He joined The National Ballet of Japan as a soloist in 2009 and was promoted to principal in 2012. He has performed principal roles in a number of productions, including Don Quixote, Swan Lake, The Nutcracker, The Firebird, George Balanchine’s Apollo, and creared the leading role of Prince in David Bintley’s The Prince of the Pagodas. He was awarded the Nakagawa Einosuke Award in 2011 and the Dance Critics Society of Japan’s Newcomer Award in 2013, and the Minister of Culture Award for New Artists in Ballet and Dance in 2018. The National Ballet of Japan (NBJ) was launched under Artistic Director Hiroshi Shimada in 1997, when The New National Theatre, Tokyo (NNTT) opened as a new center for performing arts in Japan. The NBJ presents a broad repertoire, including classics such as Swan Lake, 20th century masterpieces by choreographers such as Frederick Ashton and George Balanchine, and works by contemporary choreographers. The NBJ also works to project its own image through initiatives such as the commissioning of world-class choreographers to create original pieces to add to its repertoire. 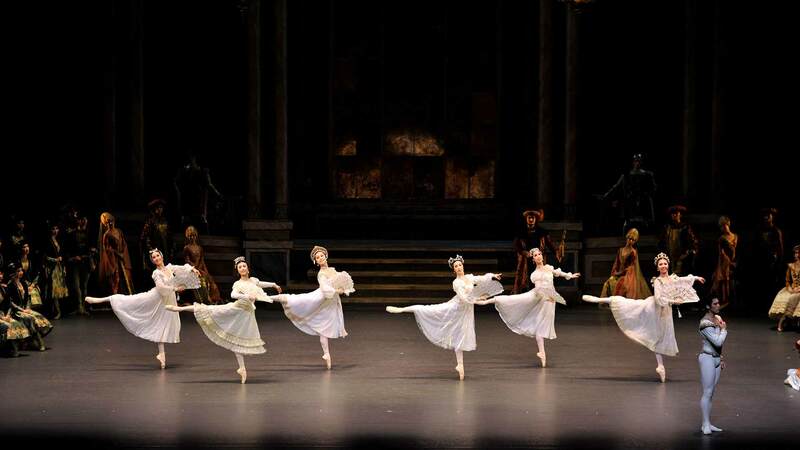 The NBJ was awarded the Asahi Performing Arts Award in 2004 for its production of Raymonda. The company made its overseas debut at the Kennedy Center in the United States in 2008, which was followed by an invitation to the Bolshoi Theatre in Moscow in 2009, where it performed its original La Dame aux Camélias choreographed by Asami Maki, with resounding success. The NBJ is highly acclaimed internationally for its brilliant corps de ballet and soloists. The NBJ bonded with David Bintley, a renowned contemporary British choreographer and the artistic director of the Birmingham Royal Ballet, through the production of Carmina Burana in 2005. He created a new full-length ballet, Aladdin, for The NBJ in 2008 and served as artistic director of The NBJ from the 2010/2011 season. Under the theme of “a new direction,” The NBJ’s modern and contemporary repertoires expanded under him. In 2011, the company presented the world premiere of a new full-length ballet, The Prince of the Pagodas, choreographed by Bintley. NBJ dancers Ayako Ono and Yudai Fukuoka were invited to the Birmingham Royal Ballet for performances as guest principals and were highly acclaimed. Noriko Ohara replaced Bintley as artistic director in September 2014 and worked to usher in a new era of ballet. With the newly appointed artistic director, the company entered its new season by presenting a new take on The Sleeping Beauty, a classic masterpiece, and then opened the following season with The Tales of Hoffmann, a British dramatic ballet. Under Ohara, The NBJ has garnered high acclaim as it brings its signature classical ballets and theatrical works to new heights. Alexei Baklan is a resident conductor of the National Opera of Ukraine and the People’s Artist of Ukraine. After graduating from the Kiev Conservatory in 1987, he joined the opera company as conductor before becoming principal conductor of the Kiev Municipal Opera and Ballet Theatre for Children and Youth in 1995. As a conductor and a music director, he has been involved in numerous opera and ballet productions, including Little Mermaid, Coppélia, Viennese Waltz, and Le Corsaire at the National Opera of Ukraine; and Rigoletto, Romeo & Juliet, La Bayadère, Giselle, Swan Lake, Kashchey the Immortal (Rimsky-Korsakov), and The Forest Song (Skorulsky) at the Kiev Municipal Opera and Ballet Theatre for Children and Youth. His symphonic repertoire includes Beethoven’s Symphony No. 9, Rossini’s Stabat Mater, and Orff’s Carmina Burana. In 2003 and 2006, he conducted at Balletissimo in Mexico, which is a gala concert featuring the world’s ballet stars. 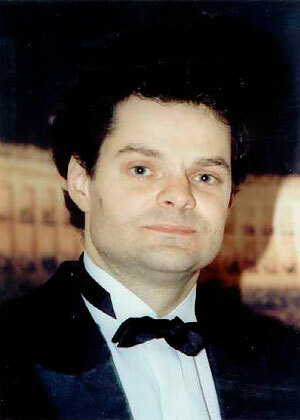 In addition to an invitation to the Croatian National Theatre in Zagreb in 2006, Baklan has been invited to conduct Romeo & Juliet and other pieces for The National Ballet of Mexico in Mexico City. With the National Opera of Ukraine, he has toured extensively, visiting Germany, France, Spain, Slovenia, Portugal, South Korea, South Africa, and Mexico. He also joined the Kiev Municipal Opera and Ballet Theatre’s tours to Britain in 2005, 2006 and 2007. He has been a guest conductor with The National Ballet of Japan since 2008, conducting La Bayadère, Swan Lake, Don Quixote, Symphony in Three Movements, Grosse Fuge, Theme and Variations, The Nutcracker, The Sleeping Beauty, and Giselle. 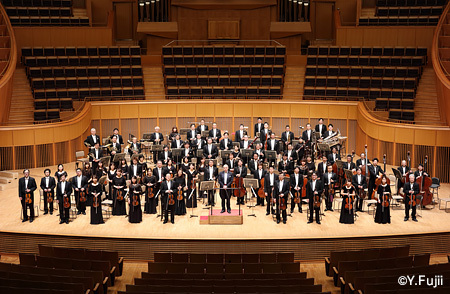 Established in 1961, the Sapporo Symphony Orchestra is the only professional orchestra in Hokkaido and is lovingly known as Sakkyo. Its clear sound and powerful expression are highly acclaimed both at home and abroad. The Sakkyo was led by Masao Araya (1961-1968), Peter Schwarz (1969-1975), Hiroyuki Iwaki (1975-1988), Kazuyoshi Akiyama (1988-1998), Tadaaki Otaka (1998-2015) and Max Pommer (2015-2018). The current Chief Conductor Matthias Bamert was inaugurated in April 2018. The orchestra performs 120 concerts annually and is actively engaged in outreach activities. It made oversea tours to Europe, North America and Asia which were highly acknowledged. CDs recorded count up to nearly 55 including private commissions. The above information is current as of February 2018, but is subject to change. U25 seats are open to anybody born in 1993 or later (excluding preschoolers) and are available only by reservation. Tickets for U25 seats are offered only at the Doshin Play Guide ticket window and are subject to availability. An ID must be shown to purchase tickets and enter the venue. - Ticket sales are on a first-come, first-served basis and are terminated once the scheduled number of tickets is sold. Click here for how to buy tickets. Details will be provided separately. - To purchase these tickets, a membership card must be shown. - Ticket sales on April 21 (Sat.) start at 10:00 a.m.
- For some purchase methods, a handling fee may be charged and desired seats may not be available. For more information, ask at a ticket agency. 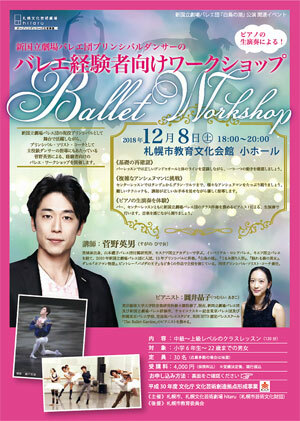 - Please note that the workshop venue is not the Sapporo Cultural Arts Theater hitaru. 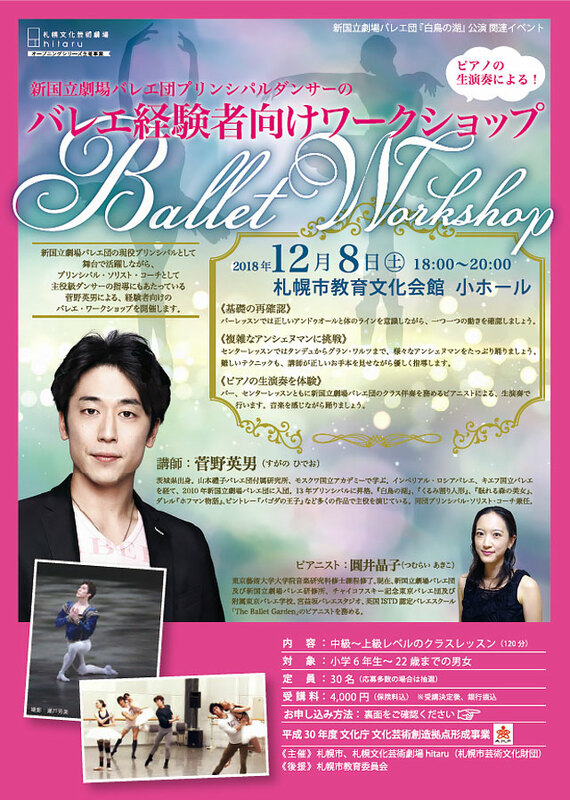 A workshop for ballet dancers will be held by The National Ballet of Japan (NBJ). Serving as the instructor is Hideo Sugano, a principal dancer of The NBJ who also provides instruction to leading dancers in his role as a principal, soloist and coach. The 120-minute workshop will include live accompaniment from a pianist who plays piano accompaniment for The NBJ's dance classes. Don't miss out on the chance to reach new heights in ballet and find new goals.